Before your head to the range for some late-season practice, run through a checklist so you won’t forget essential items. 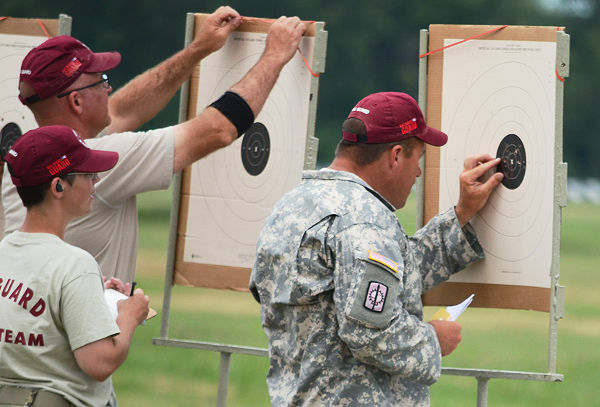 Springfield Armory, maker of the M1A series of rifles and many popular handguns, has published a thorough Range Day Checklist. 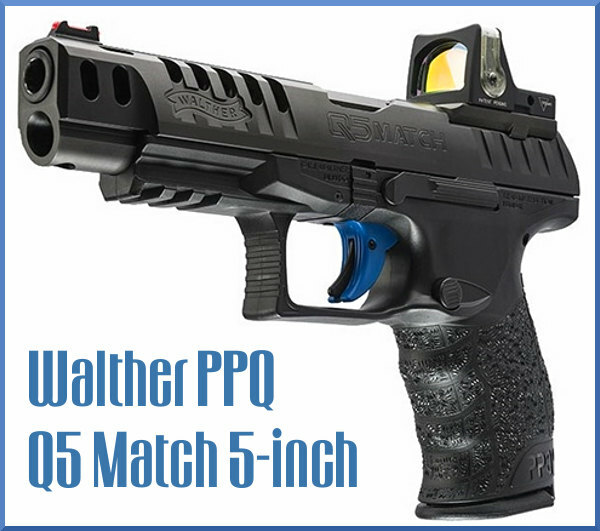 While this is oriented more for pistol shooters, many suggestions will help rifle shooters as well. Packing the essentials, a few extras and having a plan will help you make the most of your day at the range. Here are highlights from Springfield Armory’s Range Day Checklist. Read the full article for more details including a flow-chart showing target options. 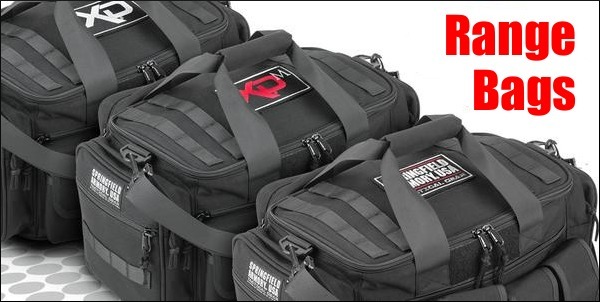 You need a range bag that works for you and all of your equipment. We suggest getting one with several compartments to keep your range items organized. Some shooters prefer one large bag, many like the new backpack style, still others want multiple smaller bags – either way, you will need plenty of room. Make sure you have ear protection. You may want to also throw in a spare set in case you misplace one, or a friend needs to borrow a pair. Basic ear plugs or earmuffs do the job, but high-quality electronic headsets are a worthwhile investment for both safety and convenience. They amplify voices (safe noise levels), compress harmful noise levels – and you don’t have to remove your earmuffs to hear someone speak. Backup batteries are a must with electronic headsets. You can’t shoot if you forget your magazines. Many shooting bags have specific compartments that hold mags individually. Also… always number your magazines. This helps to identify and separate any magazines that are not properly functioning or need to be cleaned. It’s also nice to have a magazine loader. They’re inexpensive and easy on the thumbs. Our SME’s favorite manufacturer is MagLULA. Toss in a portable cleaning kit designed for your firearm, along with any other maintenance tools you might find handy. You don’t need anything elaborate — just enough to make sure your gun and magazines stays in good working condition. An ammo can is good to have — either the new, polymer-style varieties or military surplus steel cans. You will also need a container for your spent brass. Any sort of receptacle with a lid works, from an empty cardboard box or military steel can, to a 5-gallon bucket. One of my favorites is old freezer storage bags. Plan for the best, prepare for the worst. A small first aid and trauma kit should be a part of everyone’s range bag. Hopefully you will never need the plastic gloves and quick clotting agent, but sterile wipes and bandaids are more likely to occasionally come in handy. Also, don’t forget the sun protection: Sunscreen, Hat, lip blam, and of course plenty of water for Hydration. Practice makes perfect … so keep a practice log. Keeping a log is beneficial, as you can revisit old drills to continually re-test your skill level and compare results. If you’re old school, a physical paper training book / log works fine. Put it in your range bag. More of a smart phone junkie? Try the RangeLog app. It’s also not a bad idea to put your name on your gear. It greatly increases your chance of getting misplaced items back. A lot of equipment looks alike; shooting bags, earmuffs, magazines, etc. I’m betting I’m not the only one who has come home from the range without my earmuffs [more than once]. 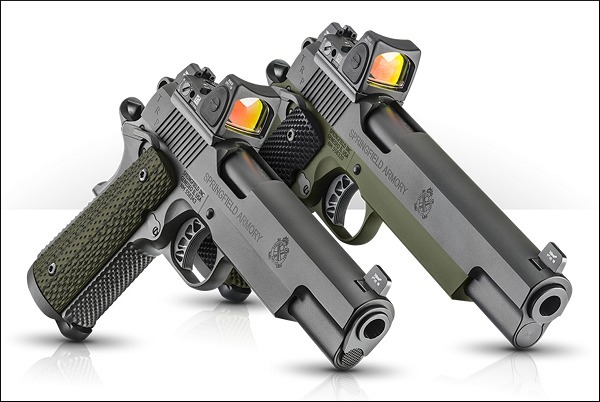 Here are some tips on shooting a 1911 pistol from handgun ace Rob Leatham: Not sure how best to zero your new 1911? Who better to learn from than Team Springfield’s championship shooter Rob Leatham. Share the post "Range Day Checklist — What To Bring, and How to Organize Gear"
This fall in Vermont, Coast Guard Petty Officer First Class (PO1) Charlie Petrotto proved he is one of the nation’s top pistol shooters. 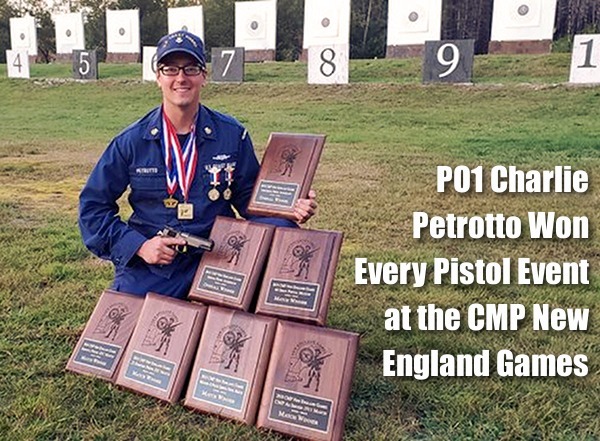 At the Civilian Marksmanship Program (CMP) New England Travel Games, held at the Camp Ethan Allen in Vermont in September, 34-year-old PO1 Petrotto won every single pistol competition during the event. As the “Top Gun” in every pistol match, Petrotto took home SEVEN plaques for his pistol marksmanship — a remarkable trophy haul. 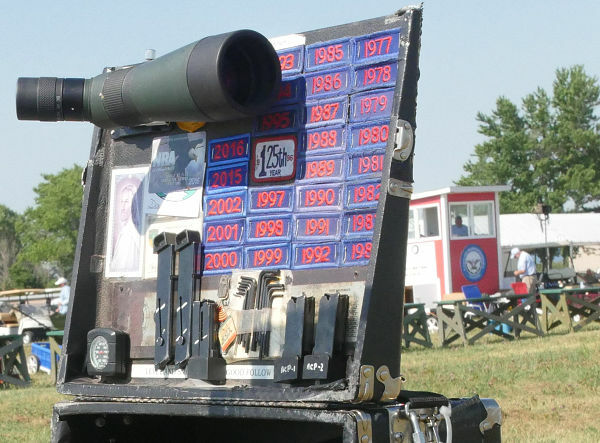 At the 2018 New England Games, Charlie Petrotto swept all the pistol events. 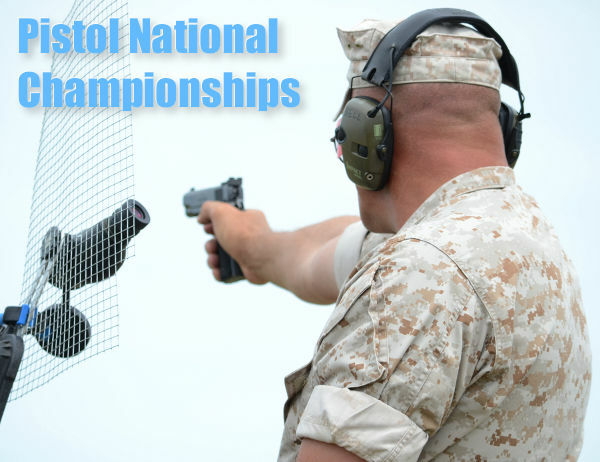 Competitors during the pistol events saw the skies open up to periodic rain showers, but, according to Petrotto, the biggest challenge wasn’t the precipitation so much as the darkness brought on from the clouds overhead. 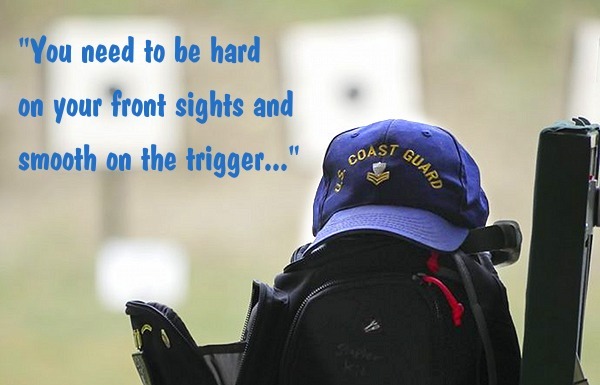 That created a challenge he explained, “Obviously you need to be hard on your front sights and smooth on the trigger, and it was hard to do the first part, so it was hard to get on your sights and stay on your sights – the target was so bright, and your sights were so dark. It was easy to just jump to the target. I shot a couple of 7’s that way, not paying attention to my sights.” Though adequately tested, he captured each win during the weekend. Petrotto is passionate about marksmanship. He’s a Coast Guard Petty Officer First Class (Gunners Mate) currently stationed at the Coast Guard Academy. There he studies marksmanship and works with cadets and Officer Candidate School (OCS) candidates. Being stationed at the Coast Guard Academy has definitely helped Petrotto’s skill set: “It’s really a fortunate opportunity,” he said. “I get to come in early to work, we have a range where I shoot air pistol, I shoot free pistol, .45, .22 – all the things – before we have a cup of coffee and get to work. With that, we really get to do a lot of shooting,” he said with a grin. Petrotto has achieved both Pistol and Rifle Distinguished badges. And he has reached the President’s Hundred in pistol at the Camp Perry National Matches four years running. Petrotto’s love for marksmanship competition began when he was in A-school in the Coast Guard. Looking through a manual he saw a picture of the Distinguished Badges. He photocopied the pages, put them in his locker and told himself, “I have to get that.” And he did — he is now double-distinguished in both pistol and rifle. 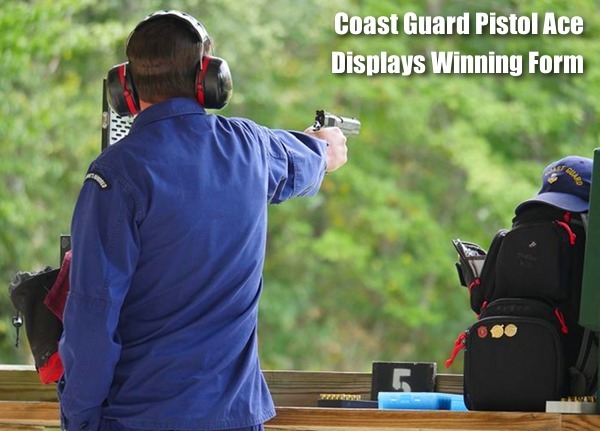 Share the post "Coast Guard Pistolero Dominates CMP New England Games"
Be prepared to have your mind blown by Max Michel. This guy is FAST. In this video he puts 18 shots on three targets with two (2) reloads, in a total of 4.79 seconds.﻿ That’s right, drawing from holster, he sends 18 rounds in under five seconds, with two mag changes in the process. That works out to a rate of fire of 225 rounds per minute. Consider this — Max shoots faster than a 19th-century Gatling Gun (which had a rate of fire of roughly 200 rounds per minute). And Max is accurate as well as speedy — 16 of Max’s 18 shots were in the targets’ A-Zones, with the other two just barely outside. Click Speaker Icon to hear sound (audio) — it’s even more impressive with sound! At age 30, Max Michel is a legend within the world of competitive shooting. A four-time World Speed Shooting Champion, six-time USPSA National Champion, and three-time US National Steel Champion, Max is a dominant force in pistol shooting sports. Born and raised in New Orleans, Louisiana, Max began shooting when he was just five years old. 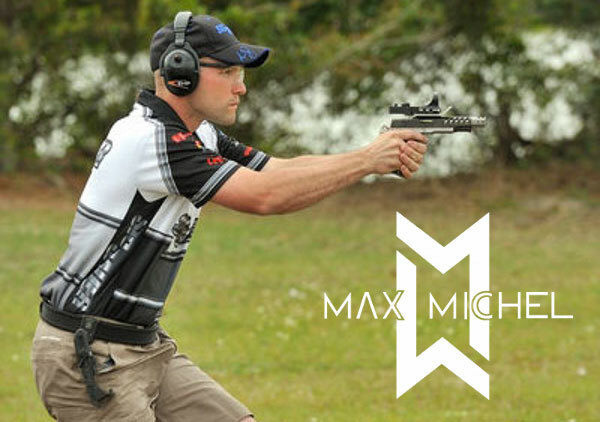 In 1999 Max joined the USAMU’s Action Pistol Team and served in the U.S. Army for 10 years as an Army shooter and trainer. Today, Max is recognized worldwide as a top-tier athlete and instructor. To see Max Michel and other top shooters, watch HotShots on the Sportsman Channel. 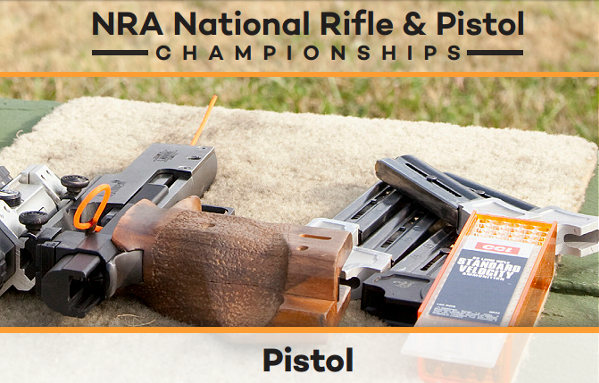 Share the post "INSANE Handgun Speed — 18 Shots on Target in 4.79 Seconds"
This article comes from the NRA Blog. Read Full Article HERE. By Jason Brown for NRABlog.com. The numbers speak for themselves: more females are participating in the shooting sports than ever before. 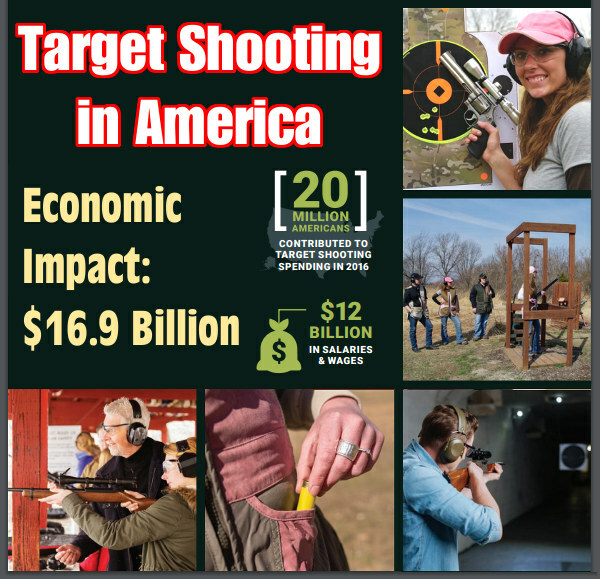 From 2006 to 2015, there has been a 57% increase in the number of American women of all ages engaging in sport shooting, with ladies representing 26% of all target shooters in 2015. As more women join the ranks of shooting athletes, more young women follow suit, carving out their place in the competition and making an impact. 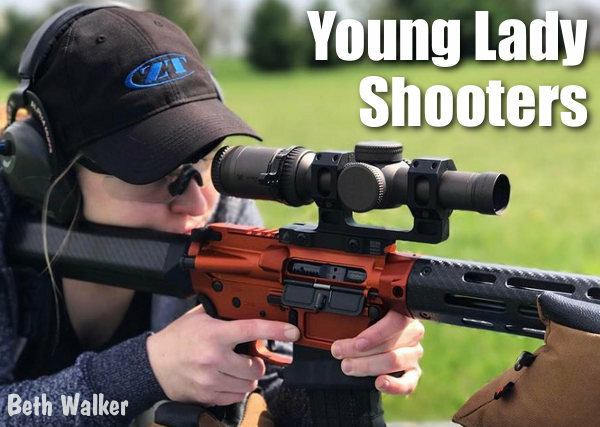 Take a spin around social media, and you’ll likely find any number of young women earning sponsorships, winning matches and spreading the message of the shooting sports. We’ve identified a group of young female competitive shooters leading the way in their sport, smashing stereotypes and putting the guys on notice. 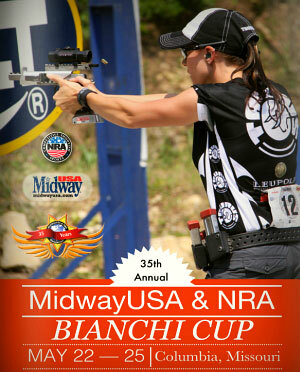 Cheyenne began shooting competitively in 2013, and has quickly become of competitive shooting’s brightest young stars. Having started by shooting rimfire challenge and USPSA in 2014, she moved into the 3-Gun arena in 2015. 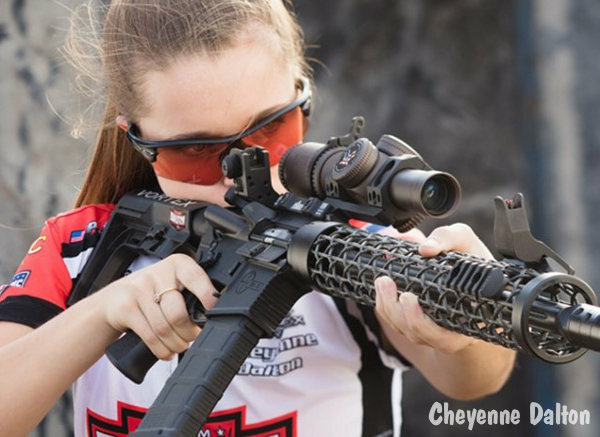 Cheyenne has won numerous state rimfire titles, and is a two-time Rimfire World Champion in the Limited Lady category, winning in 2014 and 2016. Outside of shooting, the 16-year-old Missourian loves the outdoors, where she likes to hunt and fish. Her skills don’t stop at shooting – she’s a bluegrass musician in her band, That Dalton Gang, where she plays violin, mandolin, guitar and upright bass. 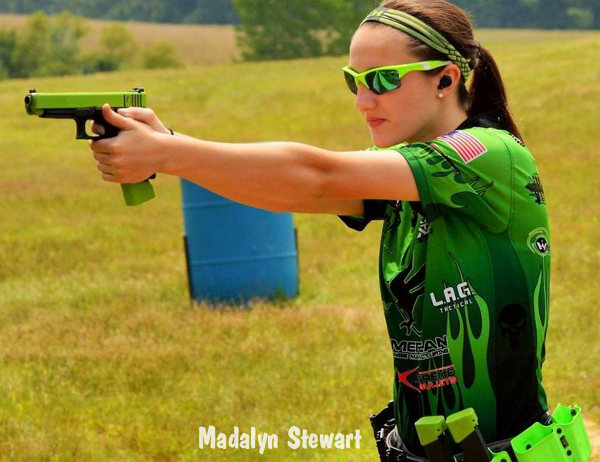 Known for her trademark lime green guns, gear and shooting jersey, Madalyn, known as “3-Gun Maddie,” is a 14-year-old 3-Gun shooter from Wisconsin. Maddie started shooting competitively at age 10, accompanying her dad to Steel Challenge and USPSA matches before discovering 3-Gun. Aside from running through competitions, Maddie is active 4-H Shooting Sports and her local gun club’s NRA-sponsored Junior Rifle Club Marksmanship Program, plays volleyball and soccer, rides horses, and mentors younger students as they transition from elementary to middle school. Talk about well rounded! 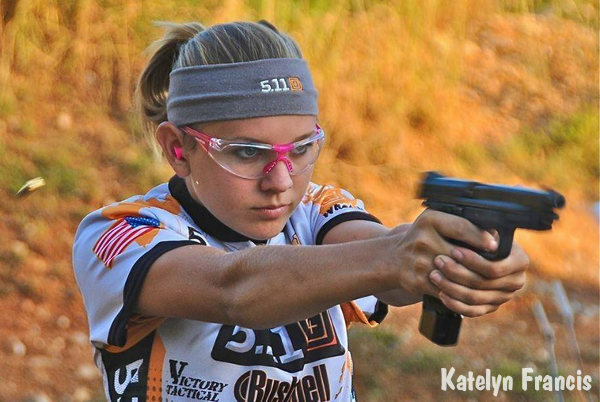 Katelyn, known as “3 Gun Katie”, describes herself as “just a girl with a gun”. Now 19, Katie is a veteran of 3-Gun shooting, having even been profiled by NRA’s America’s 1st Freedom. She first shot a gun — a Ruger .22LR single-action revolver — at age 5, and entered her first 3-Gun match in Kentucky before she was even a teenager. Katie said that in addition to travelling, meeting new friends and keeping her active in the outdoors, competitive shooting has taught her to respect firearms and handle them safely, and made her a more responsible teenager at both home and school. SEE More Shooter Profiles — Read Full Article HERE. Share the post "Shoot Like a Girl — Young Lady Competitors"
Getting started in the shooting sports can be intimidating, especially for women. Thankfully, there are many training resources available. 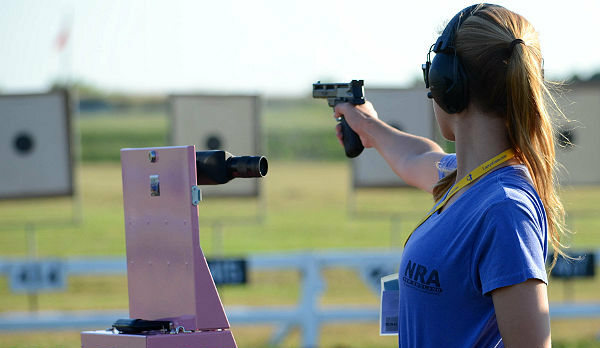 NSSF has compiled a series of target shooting tips for women, by women. 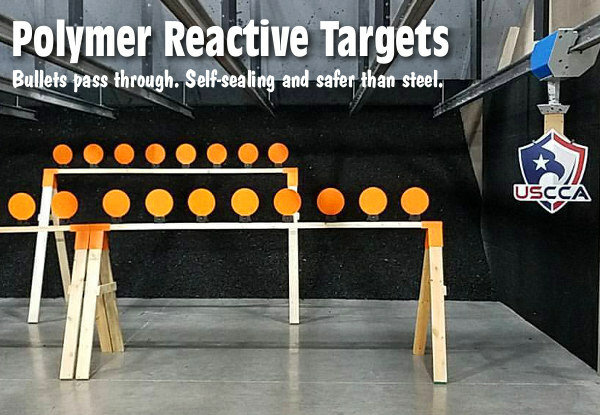 These tips, presented by instructors Deb Ferns, Kay Miculek, and Lena Miculek-Afentul, cover basic shooting methods and safety. Topics include pistol grip, stance, eye dominance, and ear protection. 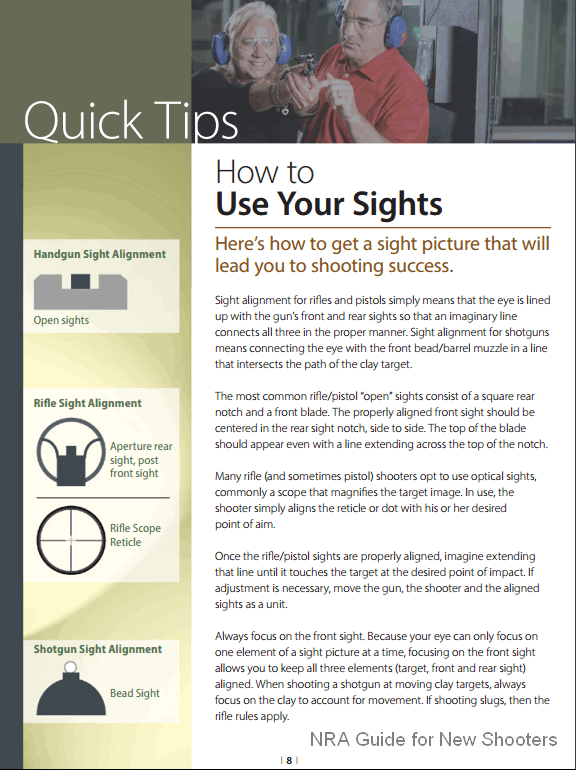 These tips can benefit any novice shooter, not just the ladies. 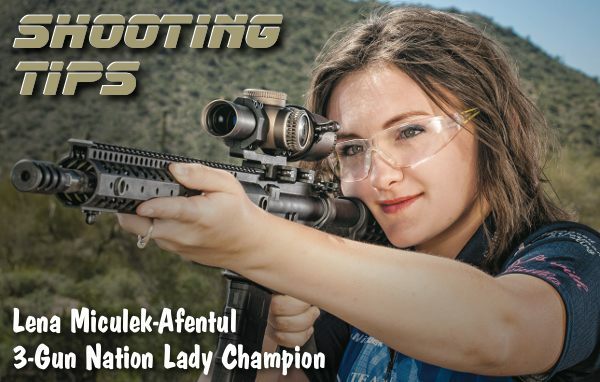 Champion 3-Gun shooters Kay Miculek and Lena Miculek-Afentul demonstrate rifle stance basics and how to properly hold an AR-platform rifle for action shooting. Mother/daughter team Kay Miculek and Lena Miculek-Afentul demonstrate proper grip and stance for shooting semi-automatic pistols in action disciplines. Learn how to identify your dominant eye. Kay Miculek, a cross-dominant shooter, explains how other cross-dominant individuals can maintain a proper sight picture. Babes with Bullets Director Deb Ferns says the most common complaint among new shooters is, “It’s too loud!” Deb recommends “doubling up” — wearing muffs OVER soft foam earplugs. That’s “sound advice” for any shooter. 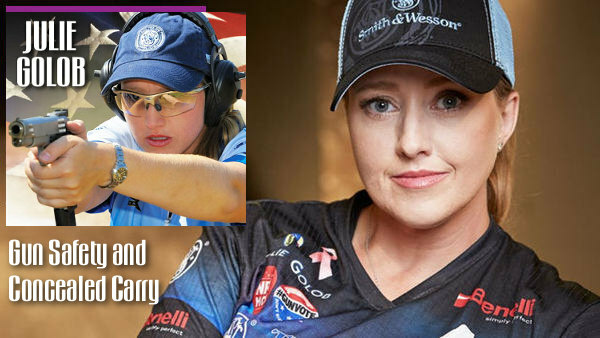 Share the post "Action Shooting Tips from Lady Champions"
Eley sponsors many of the world’s top rimfire shooters, who have shared their Tips from the Top for 2014. Five ace smallbore shooters provide advice on how to shoot better, how to train more effectively, and how to stay motivated even when “the going gets tough”. If you’re a competitive shooter (in any discipline) you can benefit from reading these words of wisdom from world-class shooters. 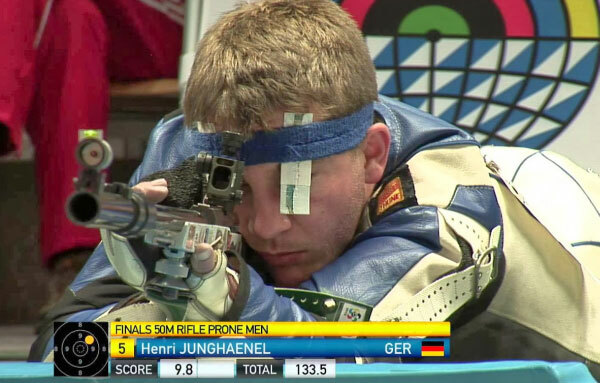 Henri Junghaenel, current world #1 ranked, 50M prone rifle shooter. Focus on Fundamentals: Good performance requires a solid technical foundation. One can hunt after personal bests or one can try to work on the technical basics. The latter will probably lead to better results sooner. Stay Motivated Over Time: Be persistent and don’t lose your motivation on your way to success. Shooting, like every other sport, requires a learning process which takes a lot of time. Don’t Yield to Outside Pressures: Don’t let the expectations from others impact yourself. If some people try to put pressure on you (consciously or unconsciously), don’t let them! Bill Collaros, 2013 Australian WRABF World Cup (Benchrest) and RBA team captain. 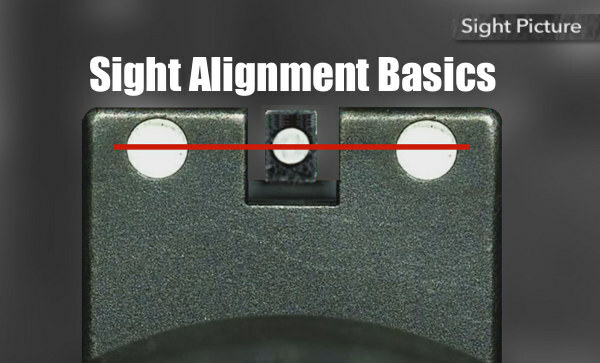 Don’t Skimp on Hardware: Ensure your equipment is a good as you can buy. This includes: rests, bags, rifle, scope, and ammunition. Tune to Your Ammo: Ensure that the ammunition you have is tested and your rifle is tuned to it, to get the smallest possible group. Train in All Conditions: Train in all sorts of wind and conditions so you know how your rifle and ammunition react in all circumstances. Stine Nielsen, 2012 Olympic finalist for 3-Position Smallbore Rifle. 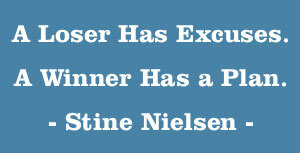 No Excuses: When I train, I train by my motto: “A loser has excuses. 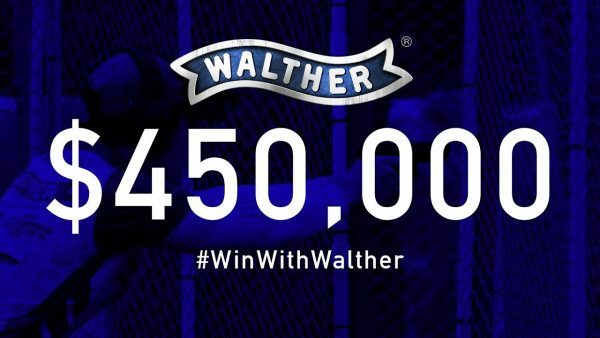 A winner has a plan.” And when I shoot in competitions I think about that mantra. Stay Focused: When I stand at a shooting range, I have a good focus on my shooting and myself. I also have a good will to want to shoot 110%. Zorana Arunovic, current world #2 ranked, 25M women’s pistol shooter. Never give up: No matter how hard it is you should always find something that will inspire you to keep going further. I find my inspiration in the success of other athletes. They inspire me to work more and harder. I would say to any young athletes, never give up, no matter how hard it is. João Costa, current world #2 ranked, 50m pistol shooter. 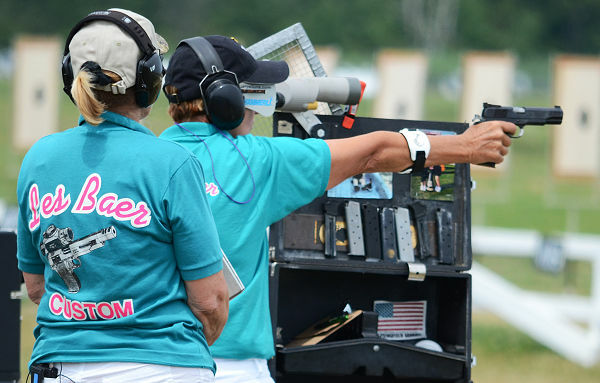 Share the post "Motivational Advice from Eley’s Champion Shooters"
You go girl! Jessie Duff is the first woman in history to earn the title of USPSA Grand Master (GM), the highest rating conferred by the U.S. 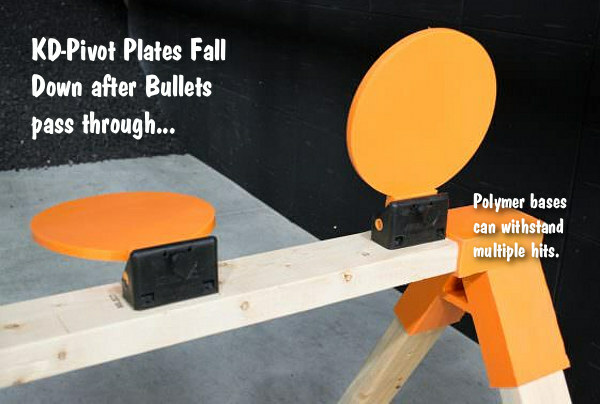 Practical Shooting Association (USPSA). To earn this prestigious ranking, Duff had to maintain an average above 95% in shooting classification courses, something never before achieved by a lady shooter. Jessie finished the year with a 95.39% average. 2013 was a banner year for Duff, who scored Open, Limited, and Single Stack Division wins at the USPSA National Championships. 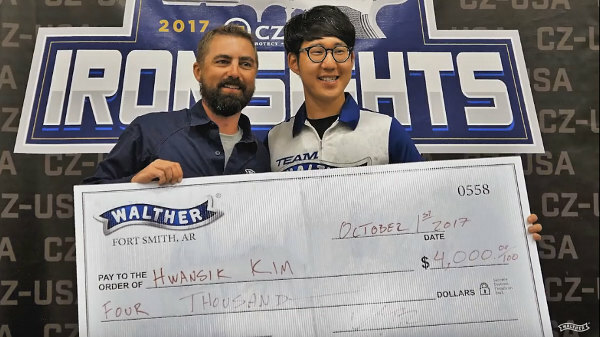 Duff also took multiple wins in the Steel Challenge World Championships, Steel Challenge Nat’l Championships, and Arkansas Sectional Championships. “I am honored to have earned the designation of Grand Master with USPSA” said Duff. “This is something I have been working toward my entire shooting career and I’ve come this far thanks to a lot of hard work and a lot of support,” she added. Duff, one of the most accomplished competition shooters in the world, has “raised the bar” for female shooters across the country. As female participation in shooting sports has grown, Duff’s accomplishments and continued success have blazed a path for women in competitive action shooting. “Jessie is one of the best shooters in the world,” said USPSA Executive Director Kim Williams. “USPSA is proud to announce her historic record as the first woman to ever reach this ranking in Practical Shooting,” added Williams. Share the post "Jessie Duff Becomes First-Ever USPSA Female Grand Master"